Reduce costly errors and improve efficiency with a code validation system designed to give you real-time insights into the readability of your marks. Ensure your coding quality is maximized for your customers with the MPERIA® platform. 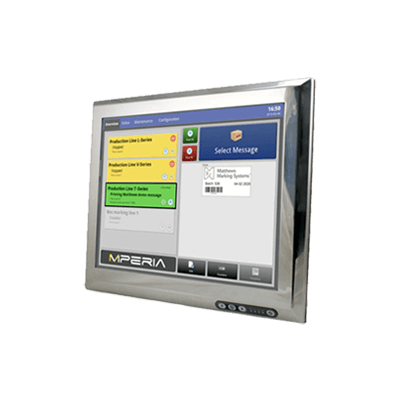 Unlike other automation platforms, validation software with MPERIA provides seamless integration of cameras without adding more control devices like PLCs, PC, encoders, and 3rd party integrators, allowing you to easily automate quality validation and printer self-healing when quality begins to diminish because of corrugated dust, glue, or poor material handling. Eliminate costs associated with re-work, refused shipments and fines. Free up your employees’ time to focus on other critical tasks, while assuring quality by identifying poor quality or bad data immediately. Vision systems easily integrate into the MPERIA® platform for complete traceability and data security.